HTR: However much people try to avoid or conceal certain issues, these end up re-emerging some time later. Since the economic crisis began roughly ten years ago, the question of the precariousness of labour in the cultural world has never been so topical. 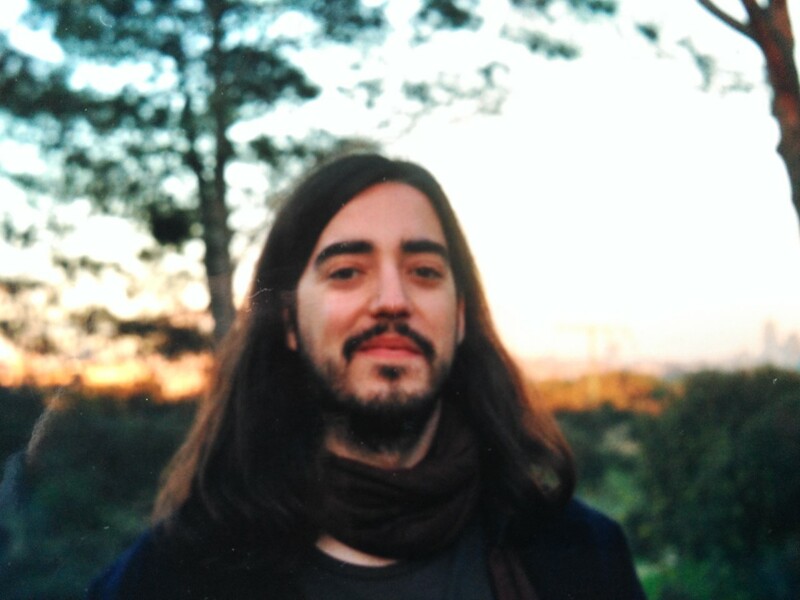 After Remedios Zafra was awarded the 45th Anagrama Essay Prize with El entusiasmo, other events have succeeded one another, such as the outstanding payments of the Scholarship for Emerging Artists awarded by Torremolinos City Council and the questioning of the management of Malaga’s Centro de Arte Contemporáneo (CAC). Bad practices or excessive budgetary expenses have led some institutions, such as the Museum Consortium, to list each concept to comply with the Law of Transparency. Meanwhile and as we await a Law of Patronage, the Spanish parliament has preliminarily approved the Statute of the Artist which could bring new opportunities or, as is usually the case, leave everything half finished. 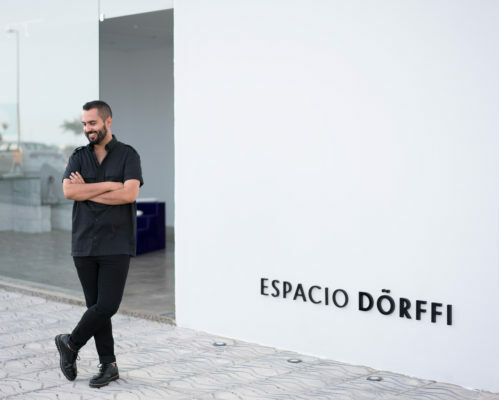 This is the context of Espacio Dörffi, the private art centre founded by Adonay Bermúdez, freelance curator and cultural manager who has worked on projects in Mexico, Texas and Chile. Located in Lanzarote, his hometown, and designed by architect Quirina Morales, it has welcomed a large number of exhibitions and workshops in its one hundred and sixty square metres, divided up into two places: Zona 46, housing exhibitions, and Zona 59, a space dedicated to the sale of small-format works. A few months after having closed in September 2018, just before the first anniversary of its opening, we spoke to Adonay about its management, its chief guidelines, the obstacles it had to face and its funding which, in one way or another, became a key element. On 9 September 2017, almost against the austere and precarious situation of today, you opened Espacio Dörffi. Where did the idea come from? And, more importantly, where did the funding and the impulse come from? AB: I had been thinking over the idea of creating an artistic force in Lanzarote for years, especially because for years the local museum of contemporary art had not had anything interesting to offer. Suddenly, three artists’ associations were founded on the island and a legendary art centre was reopened after many years. I began to perceive an effusiveness and felt it was the perfect moment. I always knew I wanted to be freelance, which meant not being dependent on institutional money. I wanted it to become a project that would finance itself through a hall dedicated to selling art at a wide range of prices. That’s what I did and it worked. HTR: During the eleven months it remained open, the space welcomed thirty-two artists (eighteen women and fourteen men) at Zona 46, and over sixty at Zona 59. What philosophy and type of space were you thinking of? If we compare it to other more traditional galleries, museums or studios, the figures speak for themselves. AB: It was meant to become another space more along the lines of a private art centre than a gallery, chiefly because it didn’t represent artists or take part in fairs. However, I was more interested in group shows that would never have entered local institutions, in organising lectures, workshops and a programme of artists residencies, attending book presentations and establishing agreements with international associations and institutions. My objective was clear: bringing Lanzarote artists to light and creating a cultural revolution on the island. HTR: Apart from these, you also invited other professionals and creators, like Blanca de la Torre or Tomeu Simonet. Did you pay the travel expenses of all those involved in the project? Were free-of-charge spaces also used for your programmes? From the very beginning, I obliged myself to keep up to date with good practices. For the good of the project I set up agreements with public organisations (like Bòlit in Girona), I received a grant from the César Manrique Foundation and asked for a bank loan. The latter should never have happened — the money that entered Espacio Dörffi, whether through the grants or sales, was entirely destined to finance our activities (plane tickets, stays, the production of works, shipping costs, etc. ), but I made one mistake: trusting in a local institution. The inter-island council of Lanzarote issued some subsidies and I was encouraged to apply for one. Let’s say, to cut a long story short, that all that glitters is not gold and that I was left stranded in debt. That was the beginning of the end of Espacio Dörffi. I feel I should have remained faithful to my original idea of dissociating myself from the local institutions. AB: Except for the case of the César Manrique Foundation, the activities had barely any repercussion on public institutions, particularly on local institutions. What do you think explains this attitude? Could these subsidies have helped preserve the activity of the art space? HTR: The César Manrique Foundation gave me great support, for which I’ll always be grateful. When they learnt of my debt problem they immediately came to offer their help, without me even asking. No institution ever did that. I think they never understood the nature of Espacio Dörffi and they were never interested in finding it out. Some saw me as an enemy who generated more visibility and attracted a wider audience than they did. Instead of exercising self-appraisal and examining their options, they realised it was easier to turn their back on me. I requested meetings with several institutions to suggest we helped one another without any need for money, but some didn’t even deign to meet me. HTR: In this sense, last September the Spanish parliament passed a draft law of the Statute of the Artist, although the Law of Patronage is still conspicuous by its absence. If these laws ever see the light, could you guess what consequences they would have for our art system? AB: Many, but perhaps the one that interests me the most is that the art system will cease to depend exclusively on public money. HTR: So far we have been speaking of Espacio Dörffi, but you struck a balance between all these coordination and management tasks and your volume of work as an individual professional. Did you think of increasing the number of staff after the first few months? Was time another of the project’s limitations? AB: When you decide to buy premises, hire a brilliant architect and undertake a profound refurbishment you’re not acting on impulse. I had come up with a calendar of events and in January I had to hire someone part-time in order to continue to work as a freelance curator. But in December we received word of the poisoned subsidy. That was when I was forced to assess the situation and postpone the recruitment of staff. I realised that I would either have to ask local institutions for help or I would have to close the space as neither my mind nor my body could accept a greater volume of work. We shouldn’t forget thatEspacio Dörffi began to grow in unforeseen ways and as a result made more demands on my time. No institution wanted to help me, in spite of the fact that I counted on the support of the media and the art sector itself. HTR: At the beginning of July, after receiving an avalanche of messages of support and encouragement to keep the space open, did you consider the possibility of carrying on? What prompted its definitive closure? AB: It was crazy; I had never felt so much affection. I won’t deny that I shed a few tears. I became aware of the worth of the space and of how far I had come. I received e-mails and calls from several local companies and four institutions from outside the Canary Islands (three of them international), and they all wanted to help me. I received offers from a university that offered to send me intern students, expenses paid; museums that offered to stage exhibitions of any artist of my choosing so I could survive a few more months without having to worry about expenses. I was even offered the possibility of moving Espacio Dörffi to other premises completely free of charge. But I only needed € 800 a month to hire someone part-time and obtain my freedom. I received a lot of love and I’ll never forget that. Of course I contemplated continuing; I hadn’t even done 10% of what I had intended to do, but sometimes we simply have to let go and seek out other projects. HTR: The Miss Mierdaexhibition by Bell Fullana closed the season. Whether or not that was a happy coincidence, what’s your feeling now you’ve been able to look at it from a new angle? AB: Everyone said the same thing, that I’d done it on purpose, but no, it was a coincidence. In fact, I wanted to close with a group show but I realised that trying to prolong something that was already coming to an end was absurd. Miss Mierdaby Bel Fullana was a breath of fresh air; it obliged me to close with a smile on my lips. The artist made it very easy for me and the dealings with Herrero de Tejada gallery went marvellously. Ironically, it was the opening that brought more sales to Espacio Dörffi during its whole year. If I take stock, I stick to the positive side, which was impressive: the huge support of my family, the throng of artists who visited the space, the affection of audiences and the great encouragement of the sector, inside and particularly outside Lanzarote. We proved it could work and that such a space was necessary. I’ve already managed to let the premises and I’ll use the money to pay back the bank loan. I’ll carry on with my work as a curator and for now I’ve decided I need to distance myself a little from the island, professionally speaking, and recharge my batteries. With Espacio Dörffi I’ve learnt a lot — at the end of the day I was only the overall manager, and it taught me that I’m capable of doing many more things than I thought I could do. Writing is his chief means of support and he evolves every day with his cultural criticism through articles, exhibitions, books, lectures, catalogue essays and film scripts. Paying special attention to mass culture and artificial and ideological discourses, he goes against the flow of mediocrity and conformism. The rest is enjoying the obstacles we face on this journey.